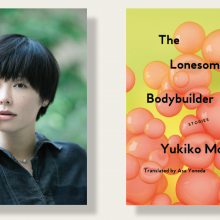 The stories in The Lonesome Bodybuilder range from slightly bizarre to all-out bananas. . . . [Motoya] has presented a set of stories focusing on the emotional, while peppering in moments of absurdity. The core of every story is about isolation and a deep desire to make a human connection, and because of that they flourish under her steady hand. . . . These stories, embracing the absurd, are a better reflection of life than most pieces of fiction I read these days.